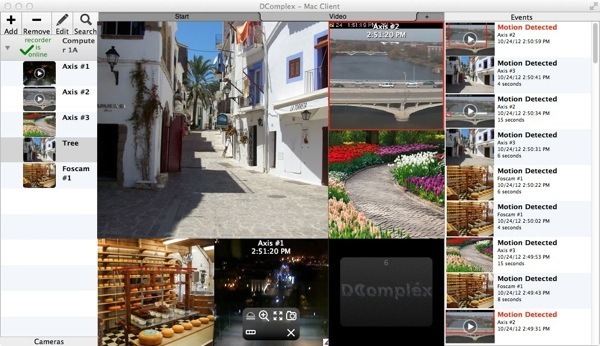 DComplex IP Camera Recorder for Mac is a professional video surveillance software to help you keep your home safe. The Recorder runs on a standard Apple Mac or Microsoft Windows PC and can record video from up to 20 IP Cameras simultaneously. It offers easy setup and automatic discovery of all your IP Cameras. The Recorder alerts you instantly about motion. You can review your video anytime and save your favorite clips. You can connect to an UNLIMITED number of IP Camera Recorders and control and monitor them remotely, from another Mac, from a PC or from an iPhone/iPad device. 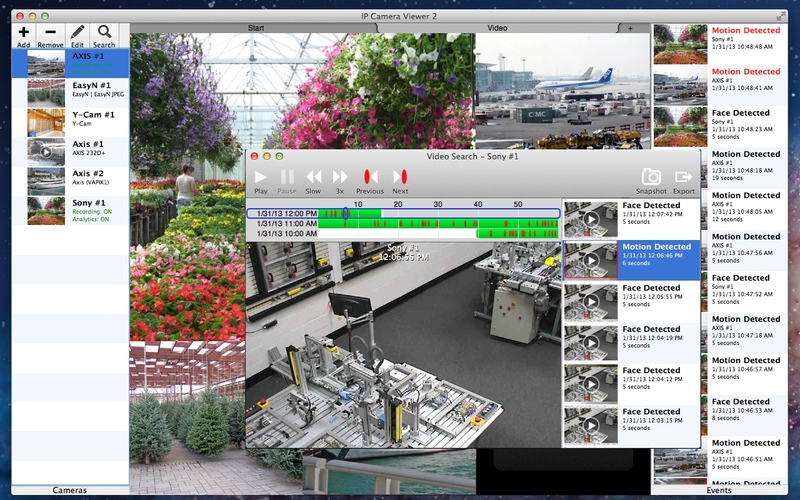 DComplex IP Camera Viewer is an easy to use video surveillance app for monitoring IP Cameras from your Mac. The Viewer app is available as a free download from Mac App Store. It includes some optional inexpensive in-app purchases for advanced users. Copyright 2010-2019 DComplex, LLC | All rights reserved.